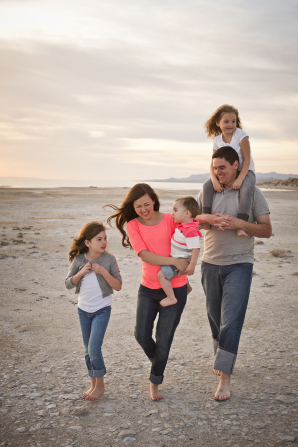 Modern Mormon Answers: How can I strengthen my Family? I believe that we all contribute to our families in ways that are unique to our personalities. We may have family members like me, the peacekeeper, we may have family members who are diligent in family history work, or even a family member who teaches us patience!! Each family member teaches us in their own way. I think this is by divine design that we are placed in families that help us learn and grow. It is a blessing to belong to a church that puts the family as a high priority. Here are some ideas of things that have helped to strengthen our marriage as my wife and I prepare to have children: Family home evening, family prayer, family scripture study, date night, attending both church and the temple together, eating dinner together, family vacations, geneology and family history work, reacreational activities, and reunions with extended family. I love this message--What are we willing to do? Sometimes it is easier to say I would die for my God than to have a weekly family home evening or other holy activities and duties to maintain a Christ-centered home. God is asking us to keep His commandments, not to walk across the plains to bury our loved ones along the trails like our pioneer ancestors did. I will try better this month to hold Family Home Evenings every Monday in order to strengthen my family. There are so many ways that we can strengthen our families and I think one of the biggest ways is simply to be there for each other. That's one of the best parts about having a family is being able to have each others backs and being there to support each other.